When we ran out of dressing a few years back, I was to lazy to go out and buy some, so I decided to make some instead. I'm not sure if making my own was lazier or going out was lazier, but I think making my own was more efficient, and that's what I did. Fortunately for you, that means I can share another tried and true recipe! 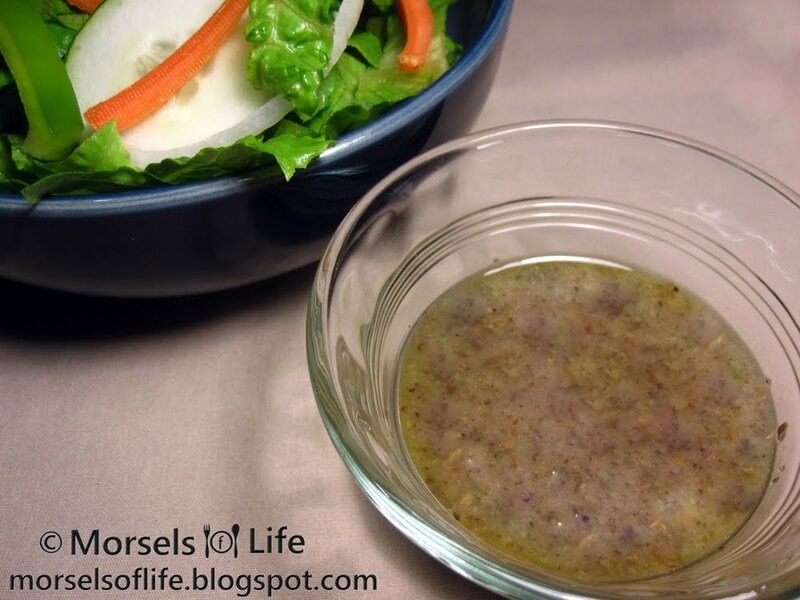 Between how easy it is to make a salad dressing and/or customize when you make your own, you won't have much reason to go buy salad dressing anymore! In addition, you don't have to deal with a plethora of partially used salad dressing bottles cluttering your refrigerator since you can make a fresh and customized batch every time! Do you prefer making or buying your salad dressing? Leave a comment sharing your favorite dressing! A red wine vinaigrette flavored with black pepper, basil, oregano, and other Italian seasonings. Place all materials into a container and whisk or shake together.